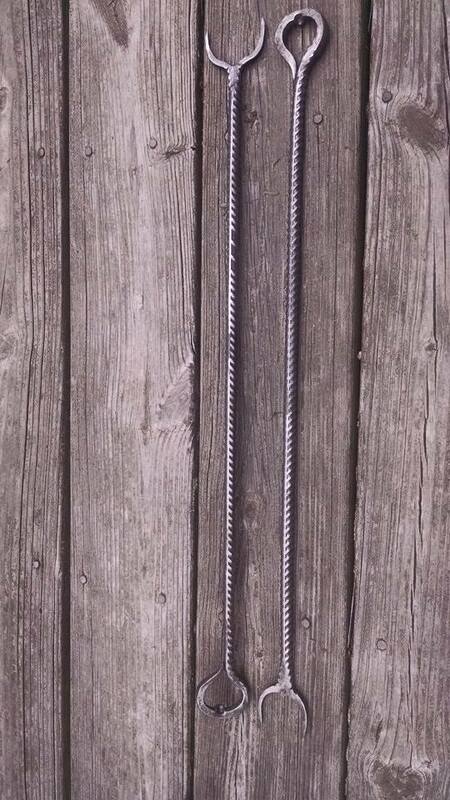 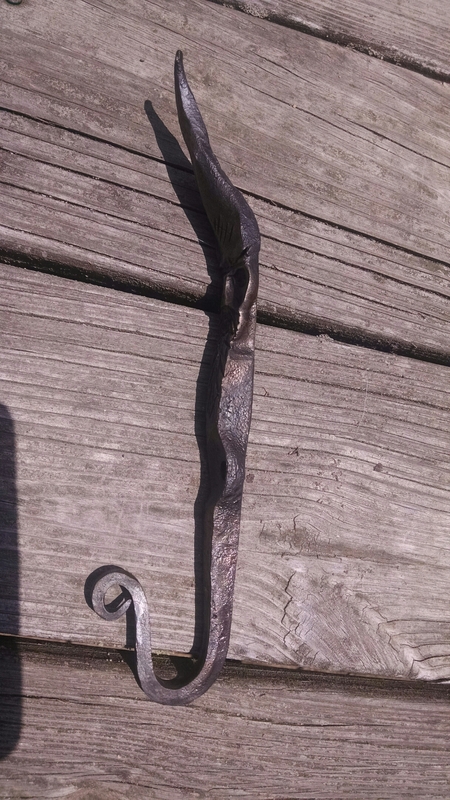 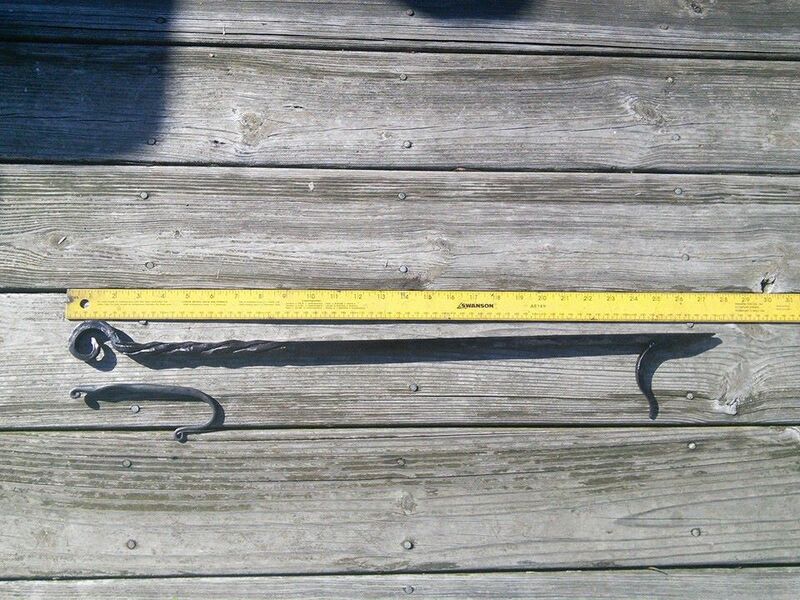 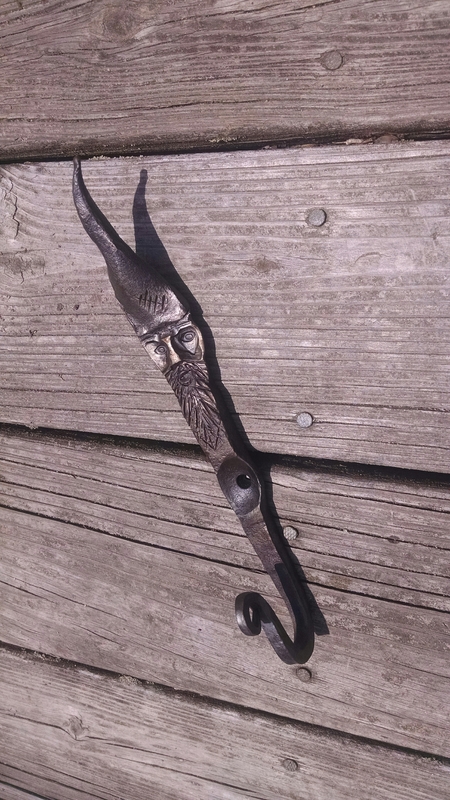 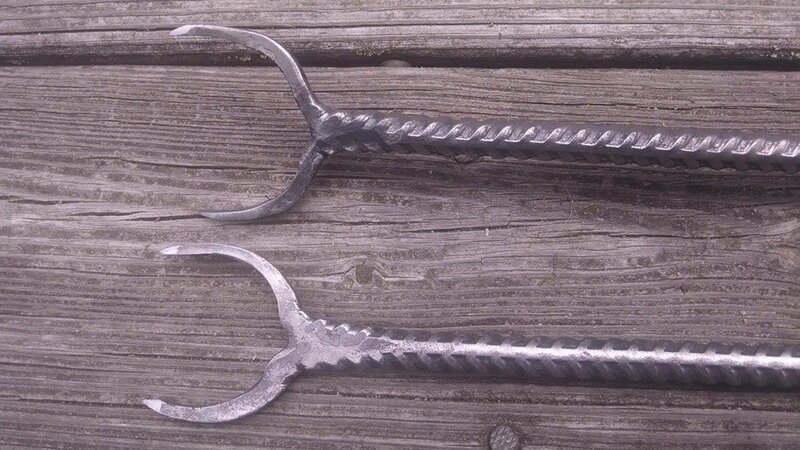 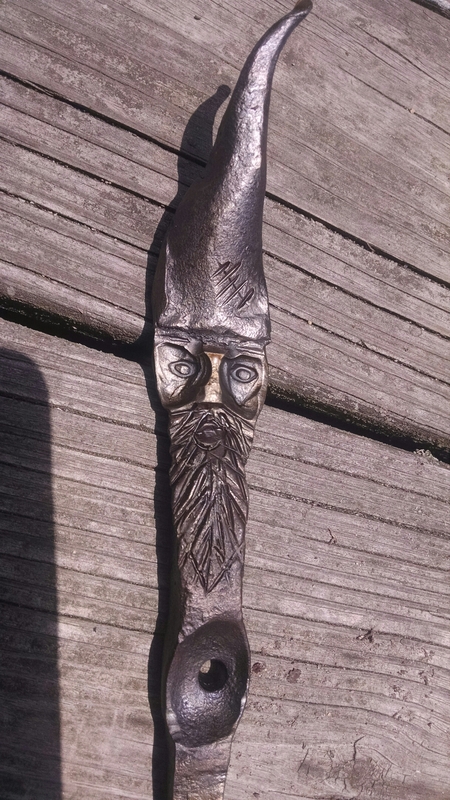 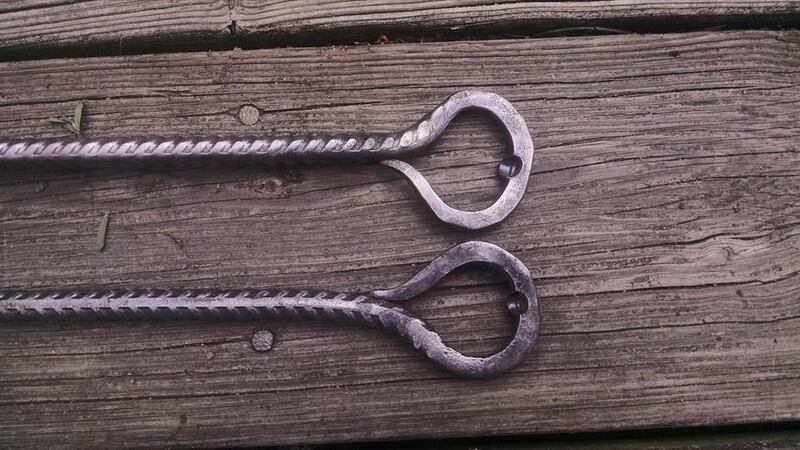 Forged rebar grilling fork and bottle opener. 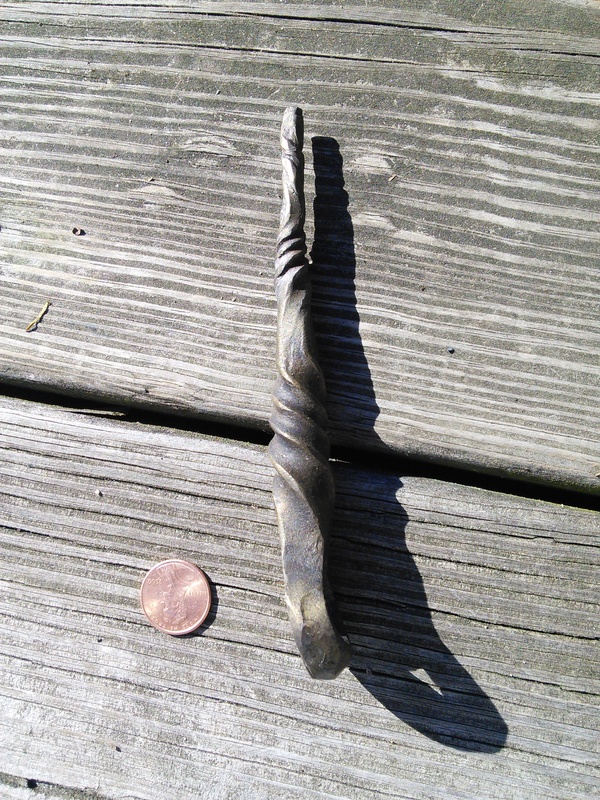 – Buy – Barter – Give – Gallery –. 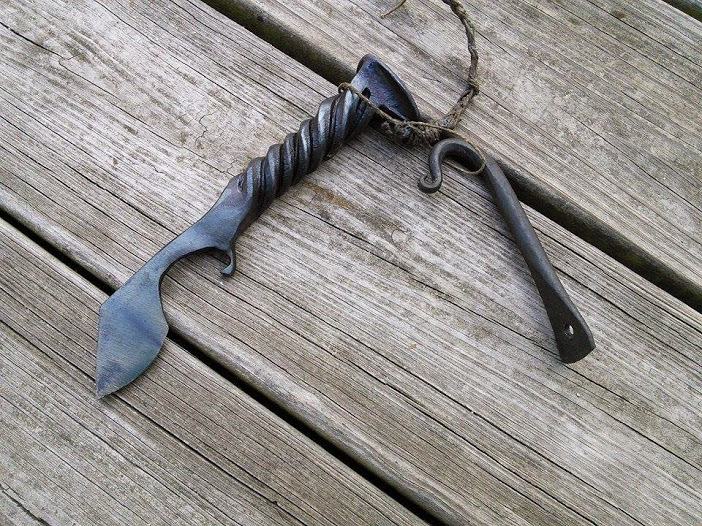 Fire poker sounds like a fine game doesn’t it? 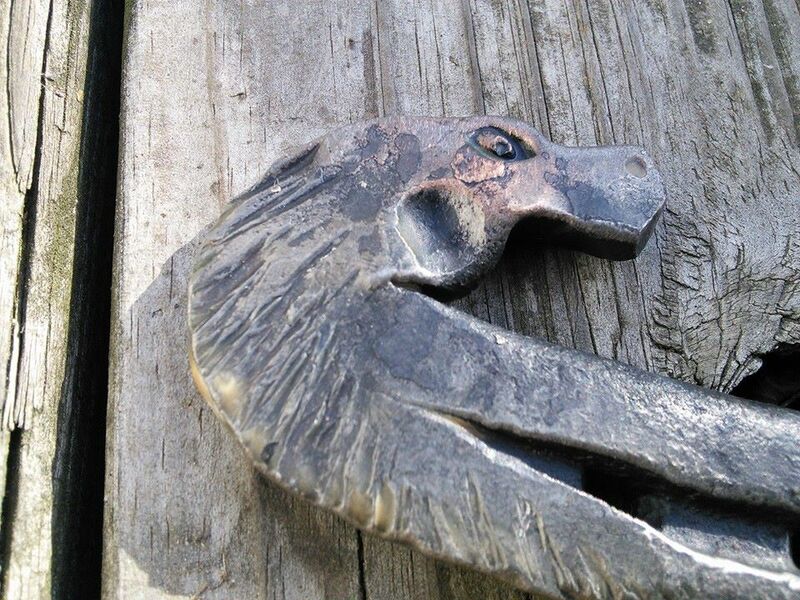 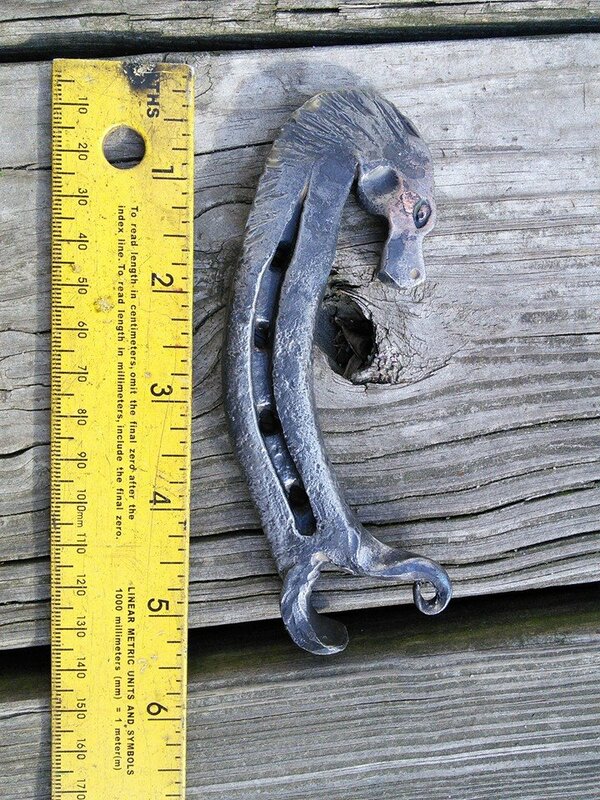 Head to Hoof bottle opener. 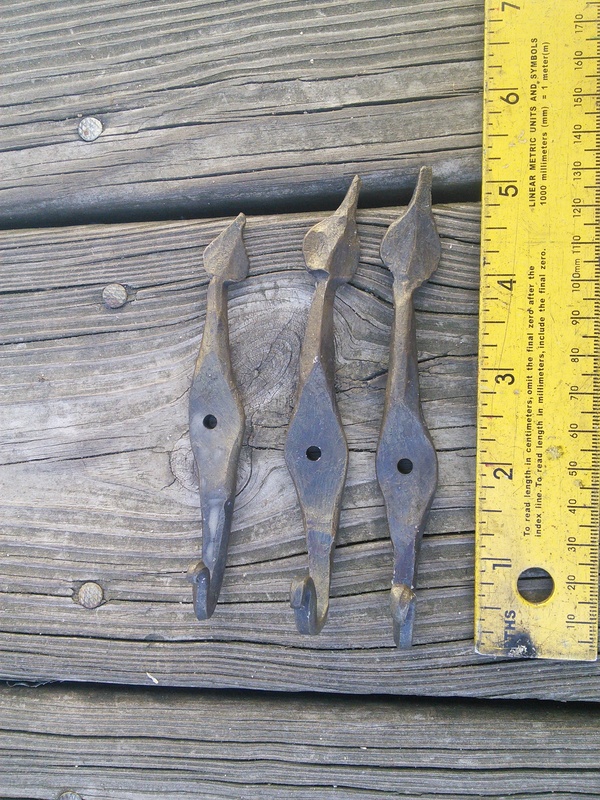 The middle one came out just right. 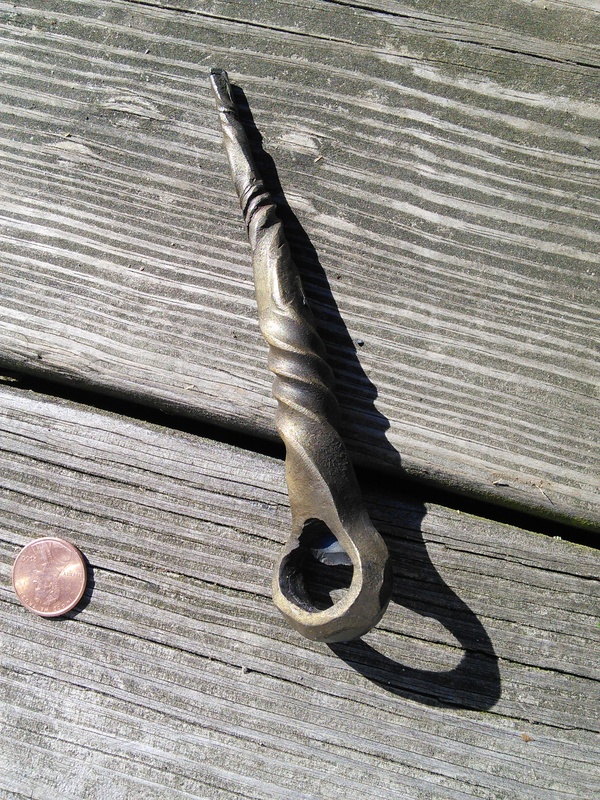 Wax cutter and beer bottle opener tool with hook. 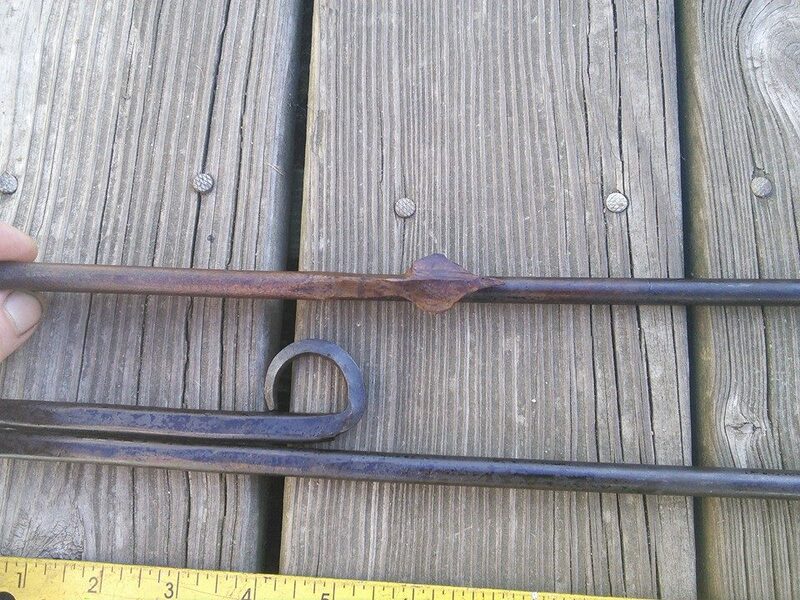 Door hardware from wrought iron. 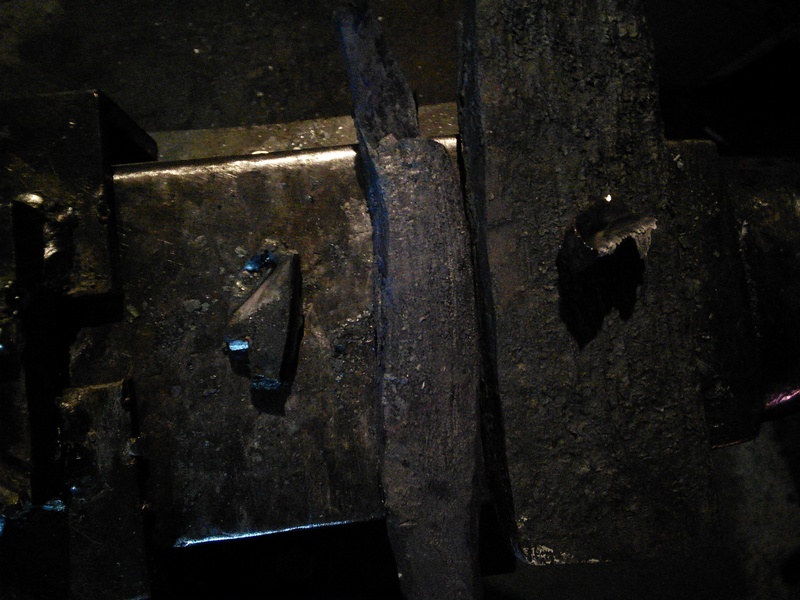 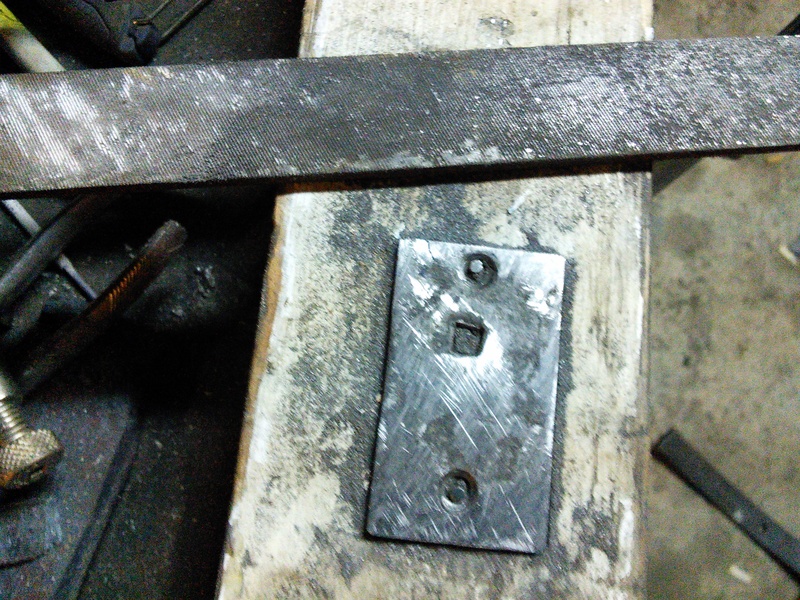 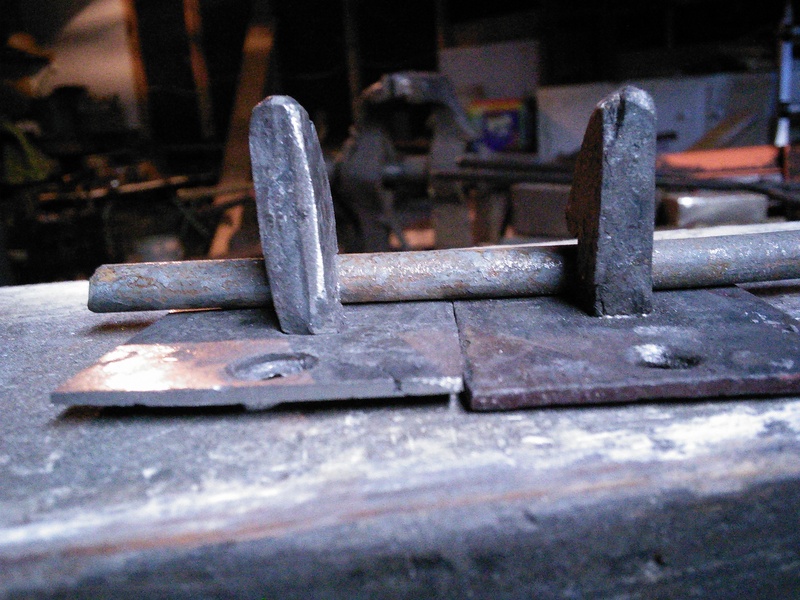 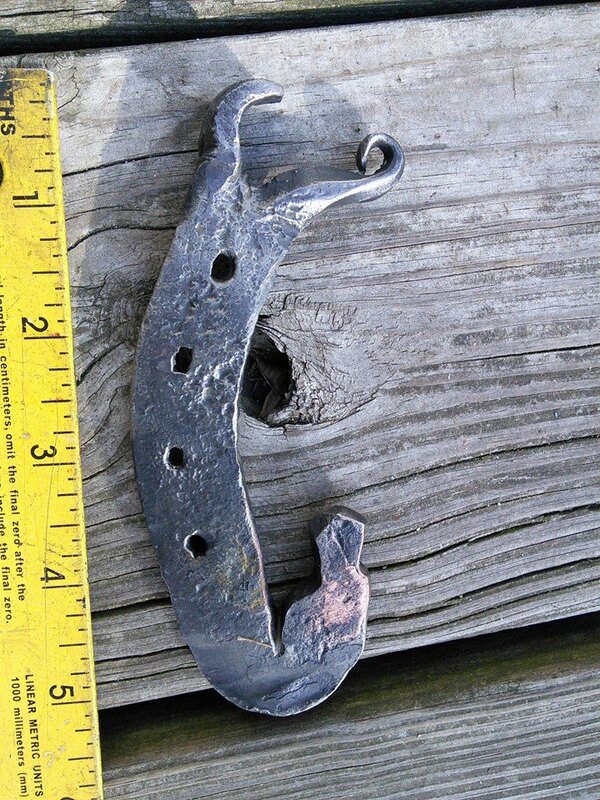 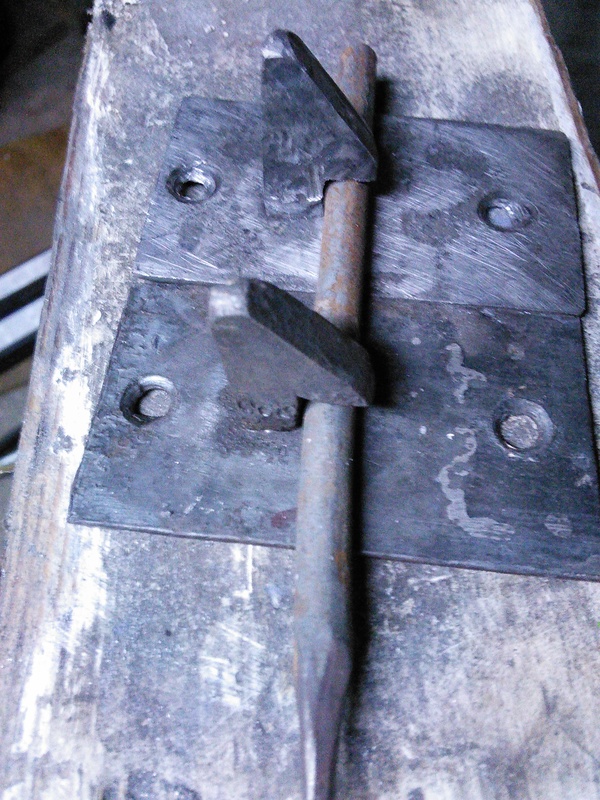 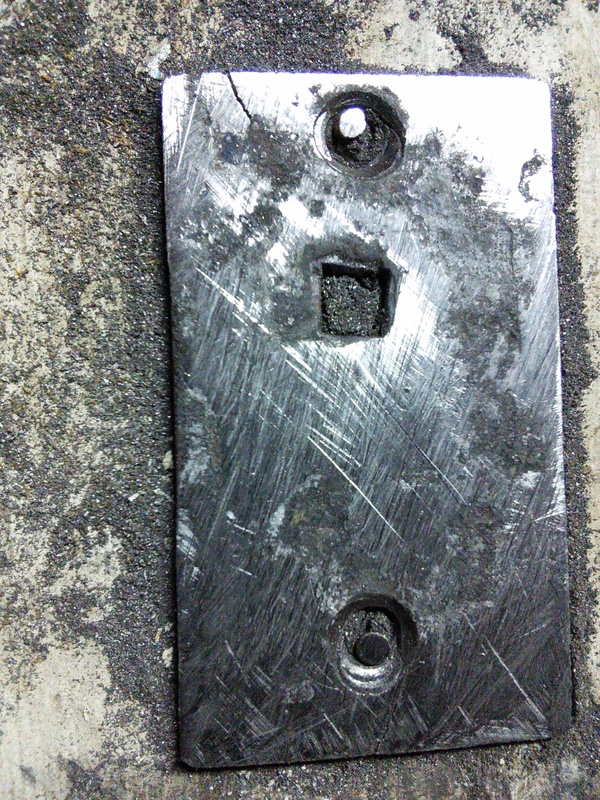 I was sent this part of a latch to make another for a 1830’s house in NY. 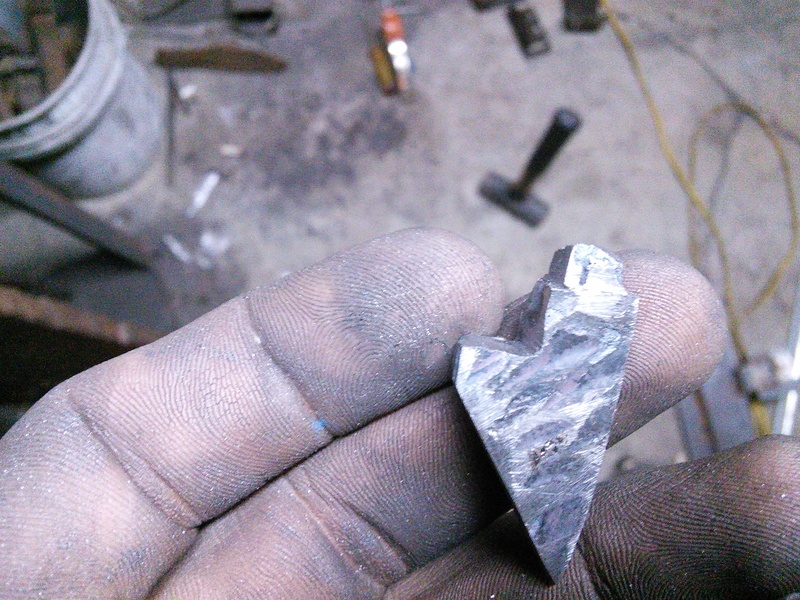 It was a bit loose. 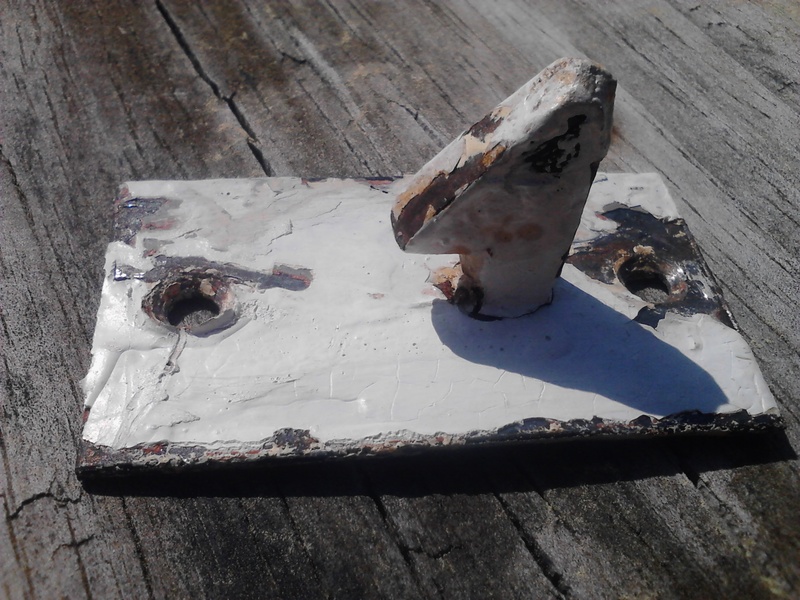 I removed the paint and disassembled it. 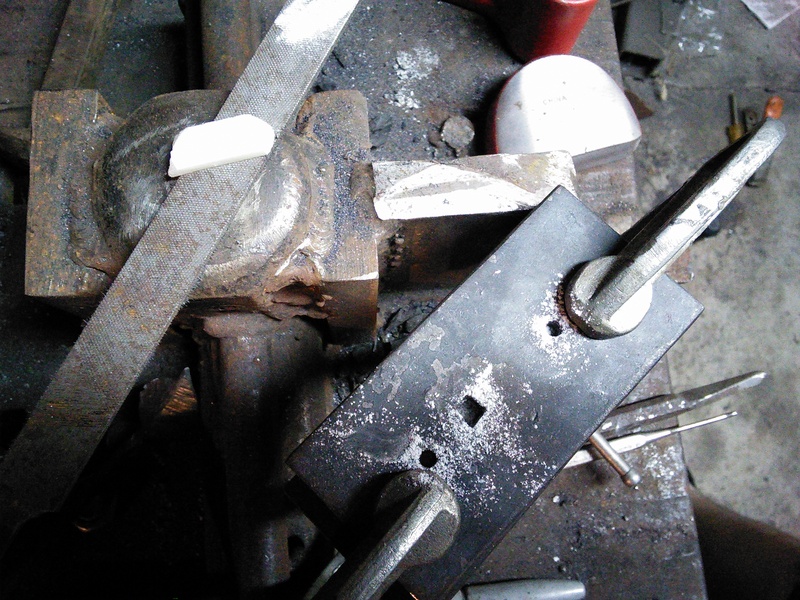 The new hardware was forged from an old wraught iron wagon wheel. 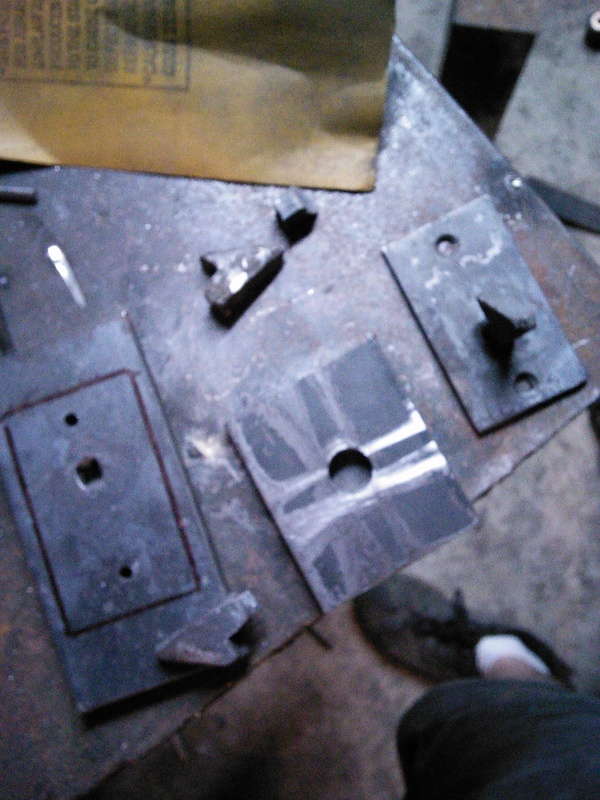 You can see one of the test peices in the back ground. 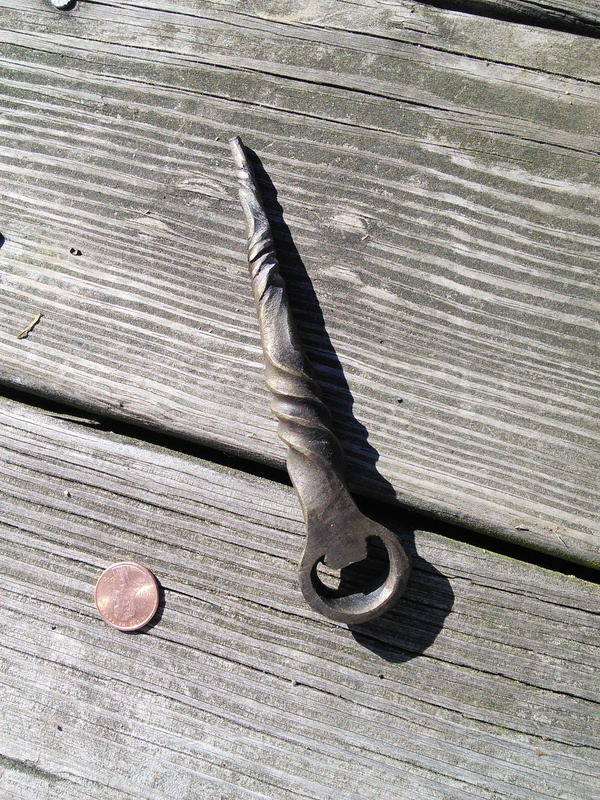 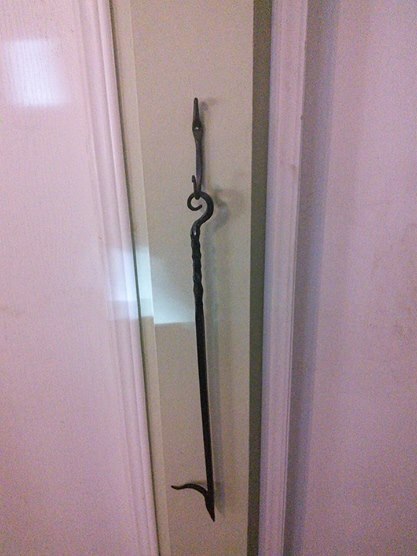 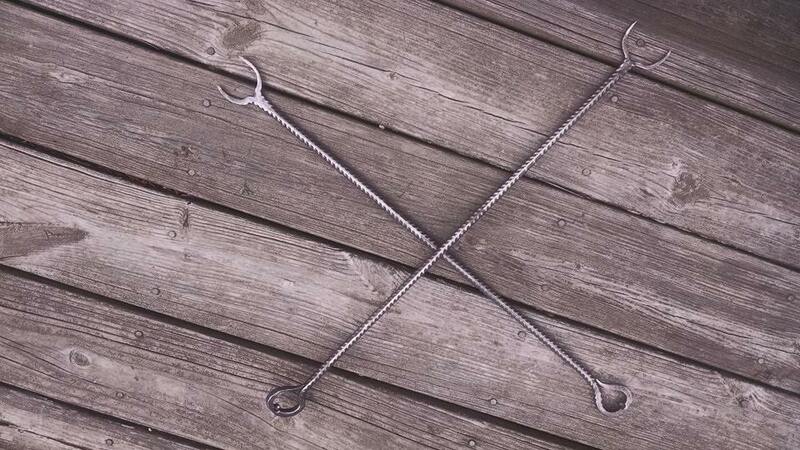 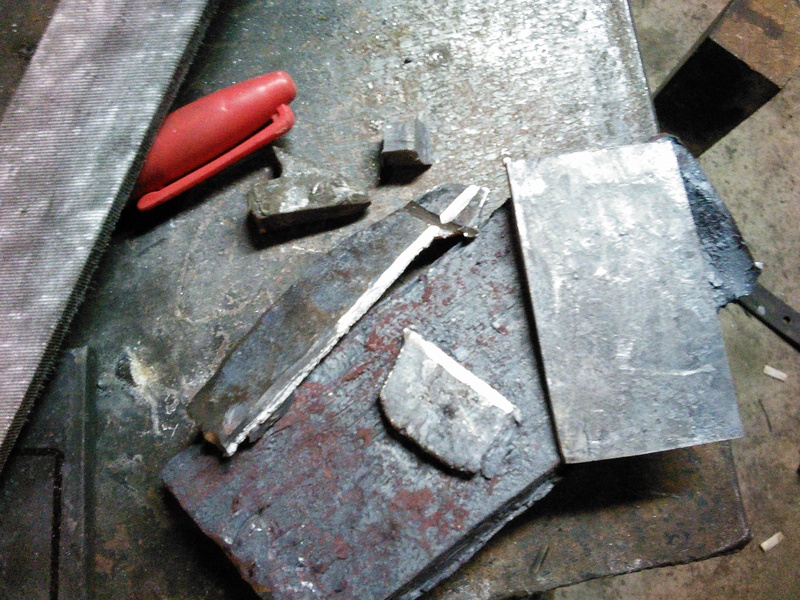 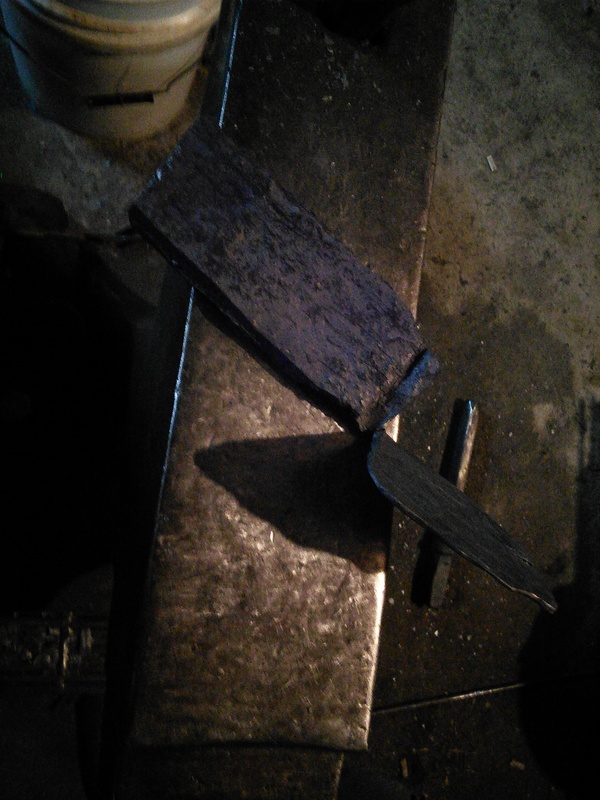 I forged 6 or seven of these in mildsteel before moving to the rarer wrought iron. 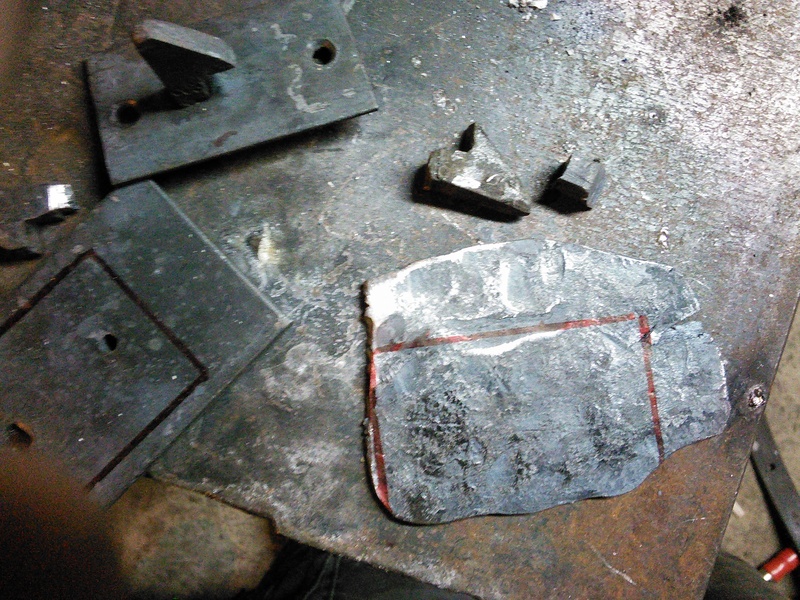 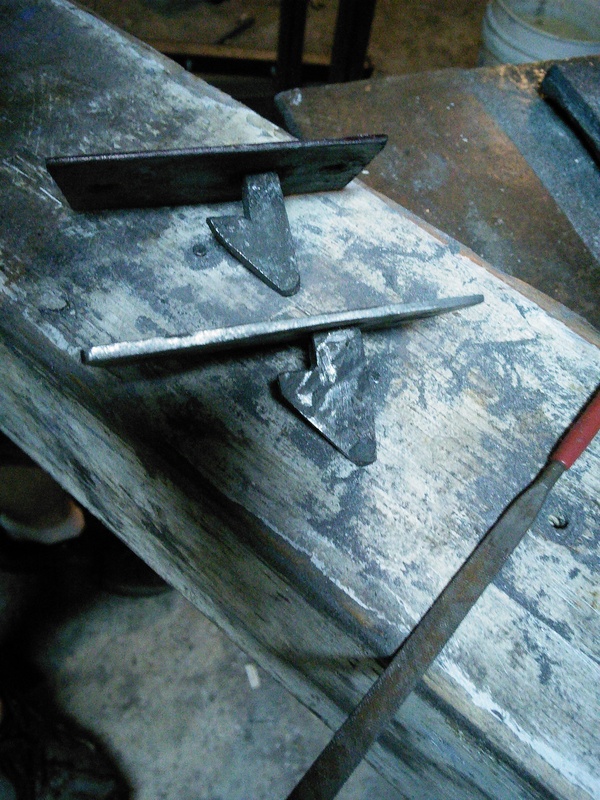 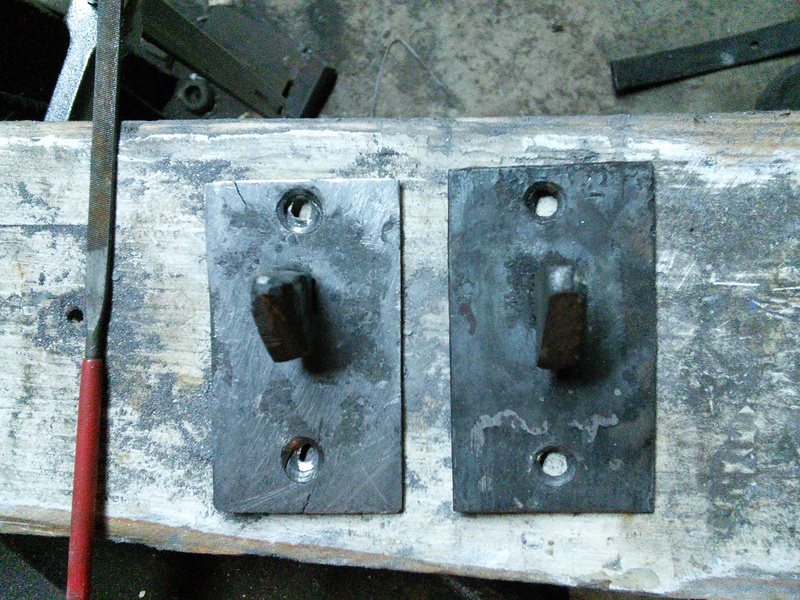 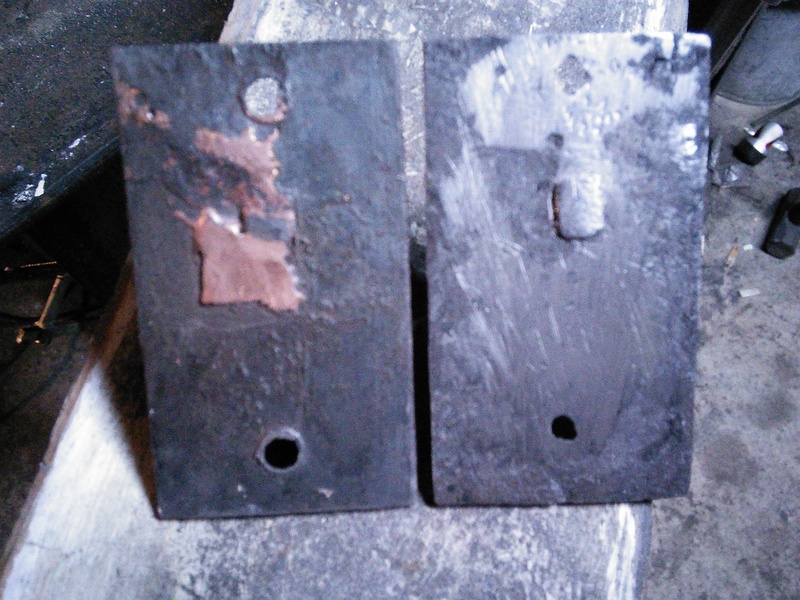 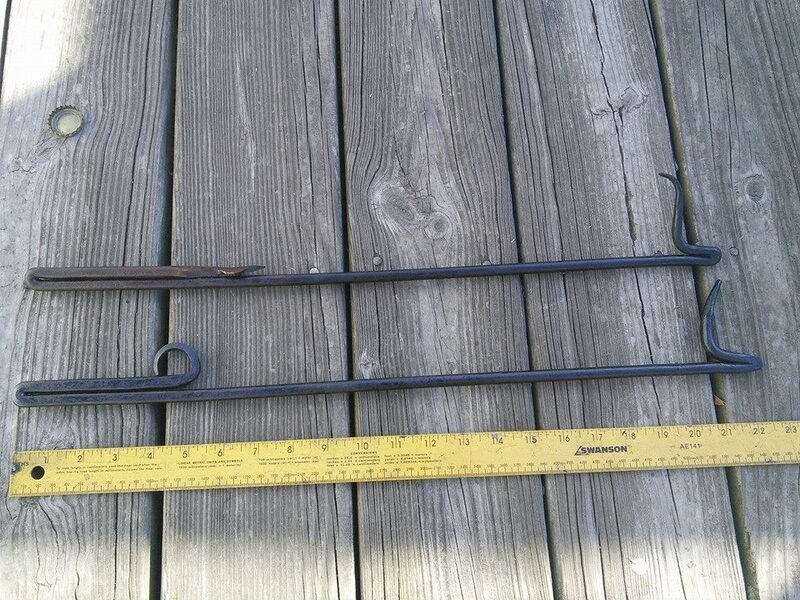 One is the original hardware repaired using a traditional penny weld (forge braze) the other is a reproduction forged out of wraught iron from a wagon wheel.